Former Cage Warriors featherweight champion Nad Narimani defeated Anderson dos Santos on Saturday evening. UFC Argentina kicked off last evening with a win for English featherweight Nad Narimani. The 31-year-old took on Anderson dos Santos in the opening bout of the UFC Fight Pass prelims at the Parque Roca Arena in Buenos Aires, Argentina. Narimani (12-2) looked to put the pressure on from the outset and landed a number of telling right hands in the opening exchanges. Dos Santos didn’t back down though and on occasion he fired back counter shots with some finding the mark. Narimani looked to assault the legs later in the round as he continued to pile forward, but dos Santos was still game by the end of the opening five minutes. Round two began in a similar way to the first with Narimani continuing to put the pressure on the Brazilian. Dos Santos bloodied Narimani with a counter shot, but then failed to secure a takedown and found himself on his back after the Englishman decided he was the one who wanted to take the fight to the mat. Narimani then saw the round out laying in ground-and-pound to dos Santos who never really looked like he could get off his back. The final round opened in frenetic fashion with dos Santos looking to secure a guillotine choke on Narimani who shot in for a takedown. After a few scary moments, Narimani negotiated the choke and made his way back to his feet giving up the takedown. 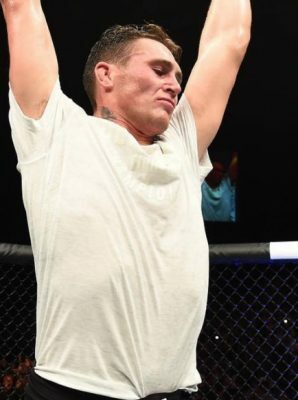 The Brazilian then looked to take the fight to Narimani with strikes but found himself on his back again after the Englishman scored with a takedown. Narimani then did the same as he did in the second and controlled dos Santos on the mat until the round ended. After a tough but convincing 15-minutes, Narimani was awarded the 30-27, 30-27, 30-27 unanimous decision victory. 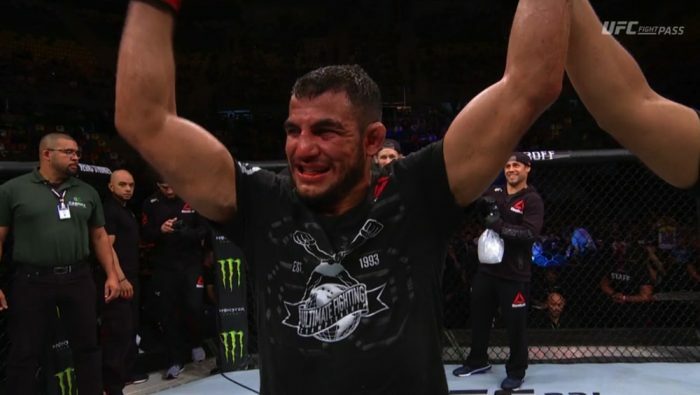 The win was Narimani’s second in his UFC career having defeated Khalid Taha at UFC Fight Night 134 in July earlier this year.